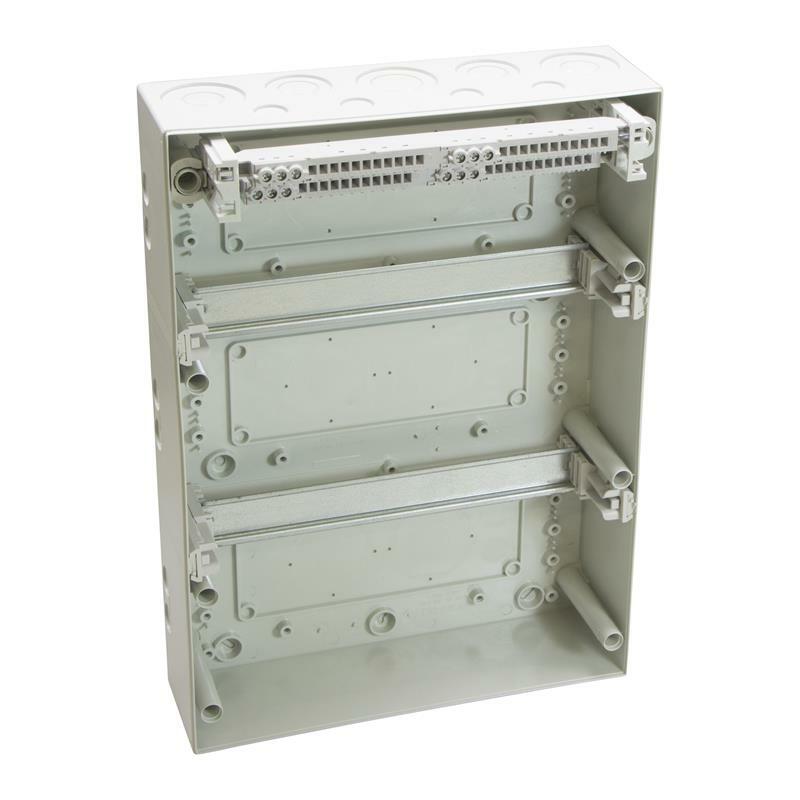 The advanced modular component enclosure MCE II PC 28 MF/M - 7252181 from FIBOX is perfectly suited for automation components, switching elements and protective equipment which can be mounted on DIN rails. The metric knockouts on all sides allow flexible and simple cabling. 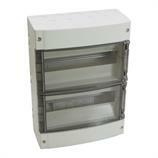 The single-row enclosure MCE II PC 28 MF/M with smoke grey cover provides space for 28 modules. 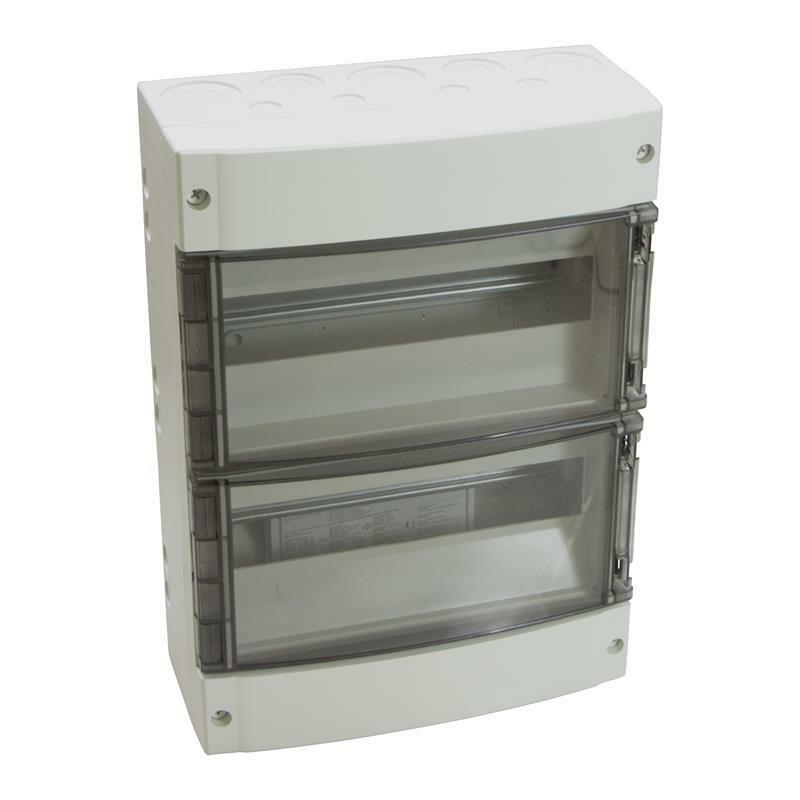 The compact dimensions of 430 x 306 x 145 mm and the high protection rating IP65 allow use of the modular component enclosure in most applications. 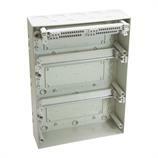 The supplied items of the MCE II PC 28 MF/M - 7252181 include DIN rails, PE-/N rail, cable entries and labelling. The perfect enclosure for our requirements. 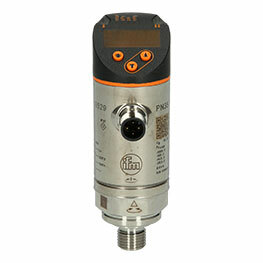 Robust with a large number of knock outs making cable access simple.